We attended on June 18th., 19th. 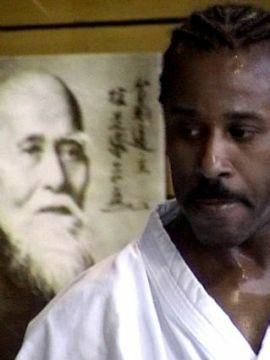 and 20th., 2004, the seminar performed in Argentina by Donovan Waite Sensei, 6º Dan USAF, Chief Instructor of Aikido Center City, Philadelphia, USA, invited by Professor Damian Ravagni, in charge of Zanshin Dojo. It was an enjoyable experience where we appreciated his excellence in Aikido. For this master the teaching and practice in his daily life is whidout doubt the secret of his success. Our gratitude to the organizer of this important event.